A little known and rare phenomena, breast cancer-related rashes come in three different variations: Direct Invasion, Dermal Lymphatics and Angiosarcoma. These rashes can indicate advanced-stage disease progression, so it’s important to know what these rashes are, what they look like and what to do if one is present. Direct Invasion rashes are indented abnormalities with a mass. This means women experiencing a direct invasion rash will also find a lump or mass indicating breast cancer. This type of rash presents itself as a bumpy, red rash, but does not itch. This rash is linked to Triple Negative Breast Cancer and can be present with any other type of cancer. Dermal Lymphatics is aggressive, so if a blotchy, red rash is present, a biopsy is necessary. This rash is incredibly rare, affecting less than 1 percent of patients treated for breast cancer. Angiosarcoma is a radiation-related rash that can appear with the occurrence of any cancer that required radiation therapy. This rash is purple in color and is aggressive because it starts in the blood vessels. Angiosarcoma is treated with localized surgery, but has a prognosis of less than a five year survival rate. While this rash should be taken seriously and immediately brought to the attention of doctors, it is incredibly rare. However, it is not advised that cancer patients should forgo radiation therapy because of the risk of angiosarcoma. at Lehigh Valley Health Network. She works with breast cancer-related rashes regularly. In her experience, Alfonse has seen some aggressive cases of angiosarcoma. One that comes to mind is the case of a 92-year-old with angiosarcoma, proving that aggressive cancers do not favor the young. “The belief that young people get aggressive cancers is not necessarily the case,” adds Alfonse. appear years, even decades after radiation treatment. “I invite patients to see me once a year until I’m not here or you’re not,” says Alfonse. Alfonse says there are differences between breast cancer-related rashes and skin rashes or conditions. “Breast cancer-related rashes don’t usually itch,” she says. Usually, patients who notice the rash visit their family doctor, where they are prescribed cortisone and other anti-itch ointments. If the rash doesn’t go away, it most certainly warrants a follow-up from your physician or specialist. Inflammatory Breast Cancer or IBC, sounds similar to these rashes, but these are entirely different things. IBC does not present itself as a rash, in fact it usually affects the whole breast, appearing more like a sunburn than a rash. Another difference between the two is that breast cancer-related rashes indicate advanced stages of the disease. This is not true of IBC. 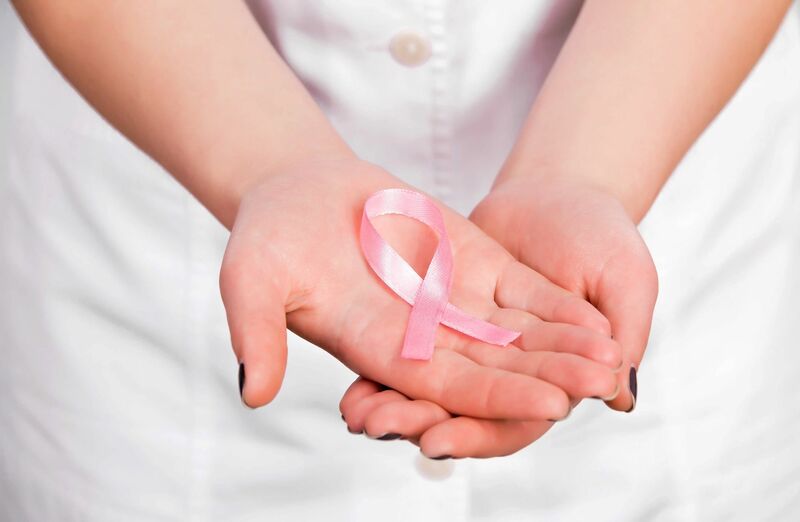 The unfortunate thing about breast cancer- related rashes is that because they are rare, there is little to no wide-spread knowledge of them, even among doctors.